Dustin Cox (Born on September 12th, 1991 in Sioux Falls, South Dakota) is a Toronto based graphic designer with a fine arts background. He is inspired mostly by the 1990’s street art scene that came out of NYC. He looks up to artists such as Keith Haring, Retna, Aaron Delacruz, and David Salle. Growing up in Sioux Falls Dustin found it challenging to find an arts community. He then packed his bags to attend college in Minneapolis, MN. 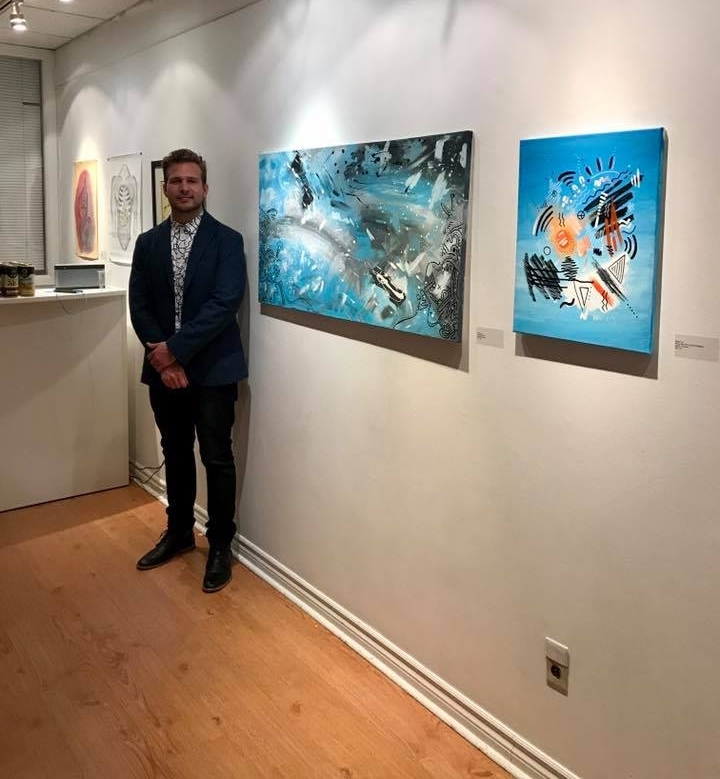 While in Minneapolis Dustin showed his work in various local art shows, and even curated three of his own art shows at his house in Uptown Minneapolis by the name of Home is Where the Art is. Dustin graduated with a degree in Graphic Design (Print Media) from MCTC in 2015. One day after college graduation Dustin packed his car and moved to Los Angeles, CA. He wanted to be surrounded by good weather, and a vivid arts community. A lot of laborious nights, and hard work brought him to the City of Angels. 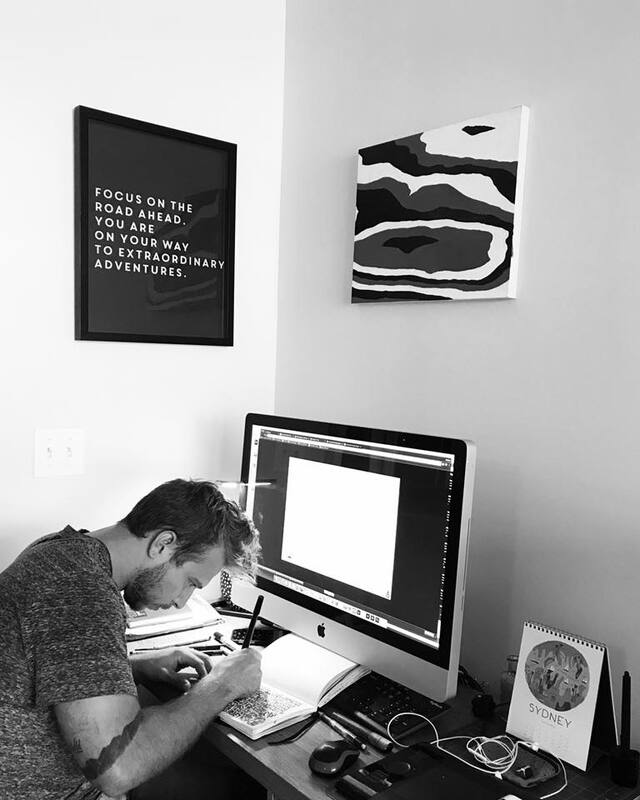 While living in California Dustin worked as a graphic designer for Rodeo Realty, painted frequently, and worked on some exciting freelance gigs. After 2 years living in the L.A sun he again packed his bags and headed to the East Coast; Now he resides comfortably in Toronto, Canada. Dustin works with multimedia, and acrylic; but is also trained on the Adobe Creative Suite. His work is influenced by travel, typography, daily society, music, and life.